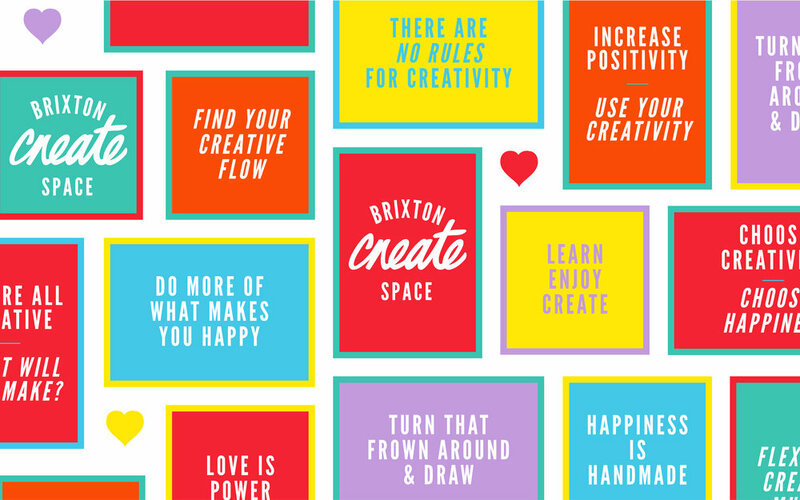 Part of Brixton Design Trail, brixton Create Space @ Pop Brixton was an interactive space for you to 'chill and create' in the concept of ‘Love is Power’ through the creation of artwork in my Love Type Workshop. Within our ever increasingly mechanised society it is important to experience the joy and satisfaction of creation. By creating and making we learn new skills, change our perspective and can feel real joy thus creating positive feelings about ourselves and each other.